1) – Bent or broken frame. This causes the entire body to twist and shift, the door opening itself will change in shape and the door will never fit properly. 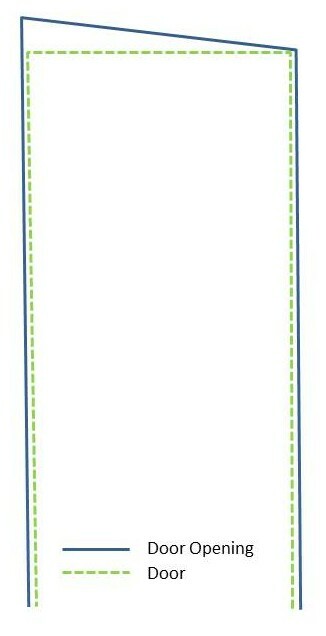 Refer to my Boler Buyer Guide on how to check the frame. 2) – Internal body modifications where the structural supports have been removed or have become loose. This can cause the body to sag, where the body will curve out more at the belly band. You can notice this issue when the hinges stay aligned, the center of the door between the hinges is inset and the top and bottom of the door is gaped out. If the supports have become loose or detached then two things need to be done before attempting to align the door, first restoring the original shape of the side walls and secondly securing the supporting structures to hold the walls in the correct shape. 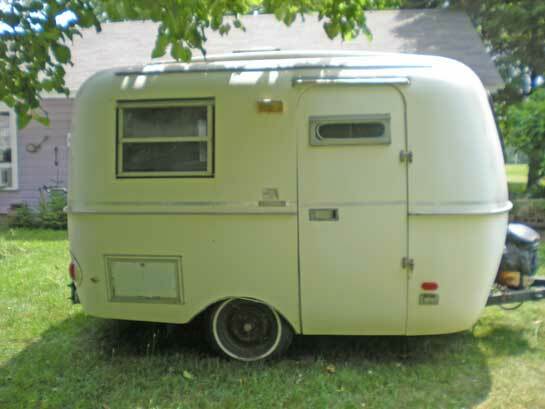 A Boler needs structural support on each side of the doorway, originally the closet, which is fiber-glassed to the shell next to the opening up to the top sill, then uses 2 rivets above the roof line. The closet is secured next to the dinette window with about 12 rivets, Inspect these areas and make sure the fiberglass bond and rivets are all intact, if you notice any damage or failure in these areas they must be repaired. The second doorway support is a 1″x1″ square steel tube fastened to the inside of the hinge side of the door opening. It is not uncommon for the rivets fastening this support to the fiberglass shell to be broken or loose causing the body to sag. To repair loose or missing structural supports, the first this that needs to be done is the body realigned to the correct shape. The best way I have found to do this is to lift on the roof gently by placing an adjustable support (I purchased mine at Princess Auto) between the floor and the roof, lift slowly. Now the top question “If the body has sagged how do I get it back to the original shape?”. The answer is quite simple, use the door as your guide, since the door shape is the one constant you want to slowly lift on the roof until the body matches the curve of the door, this may require you to remove the hinge pins and hold the door in the opening while making the adjustments since the hinges themselves are probably not adjusted right at this point. Once you have the body shape correct it needs to be held there, to do this it depands on what is loose or missing, it may only involve reattaching the metal support or replacing rivets on the closet. It may be more involved such as re-fiberglassing the closet, right through to building new supporting posts (scroll down this linked page for details on the supports I used on my Boler). 3) – Worn hinges The hinge on a Boler is called a self-aligning hinge, it allows the door to open is an arch which is needed because of the curved door. These hinges use a brass ball and a bolt with a spring to allow the hinge to move or align. It is common for the brass ball to wear, by installing new hinge pivot balls, bolt and spring can make a considerable difference. The hinges can also be adjusted or move in relation to the body, the holes through the fiberglass body and door are larger than the bolt so by loosening the hinge mounting bolts the hinges can be adjusted. Because both the body and the door are curved even a slight misalignment of the door can cause a considerable gap at the bottom of the door. Hinge rebuild kits are readily available and hinge repair is easy. the brass pivot balls should be round and in good shape, along with the hinge bolts and springs. Due to demand I now offer the best Boler / Scamp hinge repair kit available. Using marine grade 316 stainless steel and solid brass this kit will keep looking great and working great for many years. 4) – Water in the Door – when the door fills with water which is usually caused by the seal around the door window leaking. 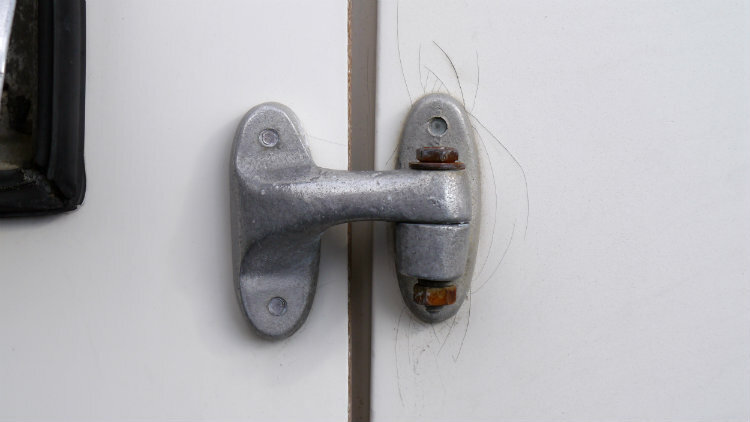 A door filled with water becomes very heavy, the extra weight causes the brass balls in the hinges wear rapidly and can also cause the hinges themselves to move or slip causing a considerable misalignment. To drain the water drill several 1/8″ diameter holes along the bottom of the inside door panel where the inner panel joint the outer panel just above where the two panels are bonded together. Don’t drill through the door, just into the open core through the inner panel. Hi, first off this site is amazing. Thank you! I just realized the Boler I just bought has a door out of square. Is there any other reasons for this other than a bent frame? There is a big gap between the door and body at the bottom. I’m based on the West Coast of Canada. Do you know any where I could take this Boler to get someone to give it a look over? I’d like to get a list of fixes that are needed for it. Visually it looks fine. info to add just need the time. Any chance you might be planning to attend the Christina Lake Boler event in September? I could take a look there. Unfortunately it is the frame either bent, broken or twisted that causes the door opening to go out of square, if you want to take a picture and send it to me I can conform that is the problem. Escape Trailer Industries in Chilliwack was making some frames, but you have to bring them your bare frame, they will not remove or reinstall the body. Call them to make sure they are still doing this. I really appreciate the reply. Sorry about the delay in reading it I was out of cell reception for a week. How can I send you the images? Do you have an email address I can reach? Great info. I recently bought a 1976 boler. The door is a bit most likely due to worn hinge pins. I have replaced to pins and will be adjusting the hinges to realign the door. My question is: there are numbers on the hinges. I have 1 and 2 at the top and 1and upside down 2 on the bottom, does it matter top and bottom? I understand only one type for the body and the other type for the door. I found replacement door pins with brass bushings and the spring at Land Rover. The only difference is it come with a regular nut so i just need to change it out for a nylon one. And the bolt is a bit longer (has enough thread though and is fluted instead of flat at the top. $8 each. They also have hinges that look almost exactly the same as the boler ones but they didn’t have any in stock. Was on an older Land Rover Defender. Going to be renovating this one for a few years. Hi Moe. Although there are numbers on the hinges I have not been able to identify any difference between them so no it does not make any difference what location you put them in other than as you said there are specific body and door side leaves and the cup for the brass ball on the body side must face up. The Land Rover parts work on most although I have heard from some that they do not work as well as the original, I am guessing it is the clearance needed through the center hole of the brass ball to allow the hinge to articulate since on the Land Rover ther hinges don’t need to articulate at all. Yes you should use a nylock nut rather than double nutting and make sure you do not tighten the bolt, leave a space between each spring coil at least the same as the diameter of the spring wire. I will soon be offering the hinge repair kits using all stainless steel components other than the brass ball. First thanks for making this website. It is a HUGE help! Second, with regard to drilling drainage holes in the bottom of the door, where exactly would you put them? How many should I do? Very nice and informative site Ian. I notice that on this page http://www.boler-camping.com/boler-care-maintenance/door-hinges-adjustments/ there are two pictures missing for para two. I have a door that is gaping at the bottom by quite a bit. I am still working on the website and there is still content missing including some pictures and text. I felt I would publish content as long as it had enough information to be useful, other areas, like what you identified, I need to find trailers that show what I am talking about so I can photograph it, or if anyone has pictures I would be very happy to include them in relevant articles. This website is constantly evolving and when I have time I continue to add more content. Following the info in the article did you identify the cause for the large gap at the bottom of your door? I purchased your hinge repair kit not too long ago and it worked great! However, my door keeps popping open when I drive it so I’m not sure what the problem is. I renovated my Boler this summer and took the hinges off to polish them and to paint the inside. I must have not put them back on correctly when I replaced them as the door still pops open when I’m driving so I’ve had to use a bungee cord to hold it shut. I did notice that the hinges are numbered #1 & 2. Do they have to go back on in a particular order? #1 being the top hinge? Also my door sags a bit but didn’t pop open when I purchased the trailer and brought it home. Hello Irene. It was a pleasure meeting with you and looking at your great Boler. The cause of a boler door popping open when being towed is usually related to the frame and body flexing, if the body flexes enough the latch or striker plate will disengage. As we noted on your trailer the frame is in rough shape and is definitely the cause of the door coming open. As for the hinge location you installed them correctly, the hinge marked #2 goes in the top location and the hinge marked #1 goes in the lower position. It was so great meeting you today! I feel quite privileged to live in the same city. Thank you so much for the wealth of info you gave me, it was priceless. I look forward to following your future posts. Ian just to clarify, because I thought my hinges were installed wrong. On the door itself, hinge stagings: upper #2 and lower #1? Also what can I do about the pivet holes being elongated on the trailer side hinges. Yes that is correct for the hinge locations. If you look closely at the hinges the angle of the pivot cup is slightly offset to correspond to the angled body. The pivot cup should be as parallel to the ground as possible. How elongated are the pivot holes on the hinge? The hinge pivots around the brass ball, not the bolt, The bolt simple places controlled pressure through the spring to hold the hinges together, if the bolt is a little “sloppy” that should not effect how the hinge functions. Would I be able to order a hinge repair kit? This article was very helpful. Yes you can buy the hinge repair kit directly through my store. Thanks again for you help Ian, always appreciated! 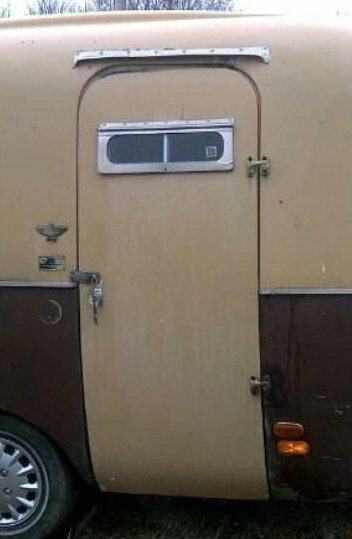 We have a 76 Boler and the door is out of alignment – I replace the hinge bolts/spring (thank you for supplying) – the door is still out of alignment. I have inspected the frame and recently had the axle replaced and asked the mechanic to also look and was told there were no issues. What I have noticed is that the closet is held in place with only 2 rivets in the roof (one of which was loose) and the closet is essentially loose – you referenced that there should be a line of rivets beside the window – there are none on my unit! The trailer was heavily reno’d in the past and repainted – I am assuming these were removed and not replaced. I assume the roof has probably sagged – assuming I can push the roof up do I just put new rivets along lip of the closet on the dinette side?? I have sent you an email, could you reply and provide pictures of the closet (both inside and out) and also the hinges and the door closed in the door opening showing the gap. If the previous owner of my Boler moved the structural support ‘bracket’ (that is on the left beside the sink and supports the upper cabinet ) to the other side by the cook-top, & it’s been this way for many years, could that cause the body to shift & the door to go out of alignment? Trillium are great trailers, similar to the Boler but they also have their differences. The door hinges on your Trillium are different that the Boler, Trillium uses Kason #139 door hinges, These are actually an industrial freezer/fridge door hinge that come in different offsets, that being the difference in height between the body and the door. I believe most use a 3/8″ offset but please double check.I know one major issue that Trillium have is that there is wood around the door and window openings where screws are used to attach the door hinges and windows. Over time water gets into the wood and it will deteriorate and rot, this will cause your door hinges to become loose and the door to not fit correctly. Using a thin liquid epoxy like System Three S1 Epoxy sealer injected into the screw hows will stabilize the remaining wood, then fill the original screw holes with an epoxy putty. When fully cured re-drill the hinge screw holes into the epoxy where you repaired it and it should be as good as new. For the hinges Google search for Kason #139 door hinges, they are readily available, but they are pricey. Thank you very much for the information and the research you did on the product, it is very helpful….I have remove my frame and will have one redone as per your plan! I have measure my door opening to 26 inch at the top and 26 5/8 at the bottom? with the shell no longer being attached to it’s frame….in order to get this 26 inch all the way down what do you suggest? I was thinking about removing a 5/8 strip of the floor on the 90 degre angle by the right side of the door and then re-inforce the whole thing with fiberglass until I obtain my 26 inch all the way down. any other suggestion before I cut? When you say the door opening are you referring to the actual cut out area or to the edge of the recessed area the door closes into? The actual opening is cut out and may not be accurate, what you want to measure is to the edge of the recessed area, this should be consistent. These trailers are not perfect, but look under the front by the door opening on the hinge side. The area where the side of the body connects to the floor is a hand laid piece of fibreglass that often does not stay attached, this may be your problem. If all looks OK I would not recommend cutting the floor or anything for that small inconsistency, That is a ton of work for little gain. 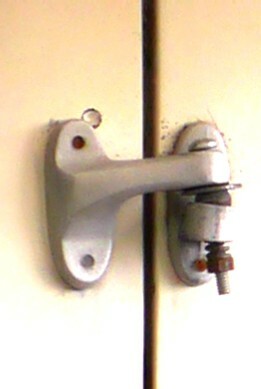 I am wondering if your replacement hinge kit will work for the hinges on a 17′ foot boler (1979). Thank you very much for your quick reply. I ordered the hinge kit, received it within 4 days, and have installed it. It works very well and was super easy to install because of your videos. Thank you very much for all of your help and a great product.